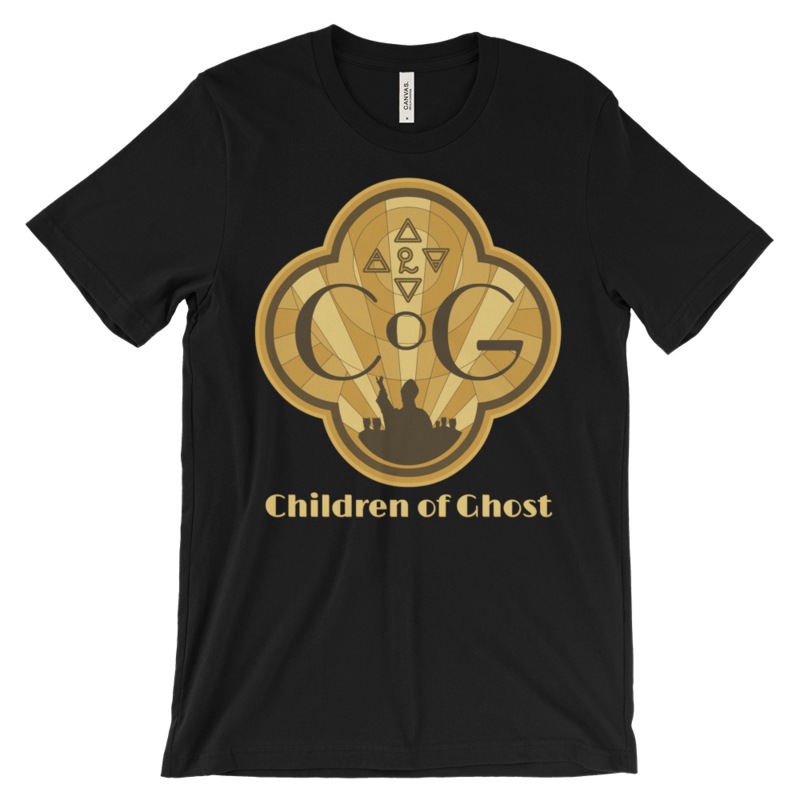 Our first Children of Ghost official T-Shirt. Our CoG logo was originally designed by Instagram user @doomherre, slightly modified by our webmaster/graphic designer Shawn Drew. Our shirts are printed on Bella+Canvas. 100% ring-spun cotton Baby-knit jersey Shoulder-to-shoulder taping Cover stitched and hemmed sleeves Side-seamed Fabric weight 4.2 oz. This super-soft, baby-knit t-shirt looks great on both men and women. It is an updated unisex tee, which fits like a well-loved favorite. Made from 100% cotton, except for heather colors, which contain polyester.